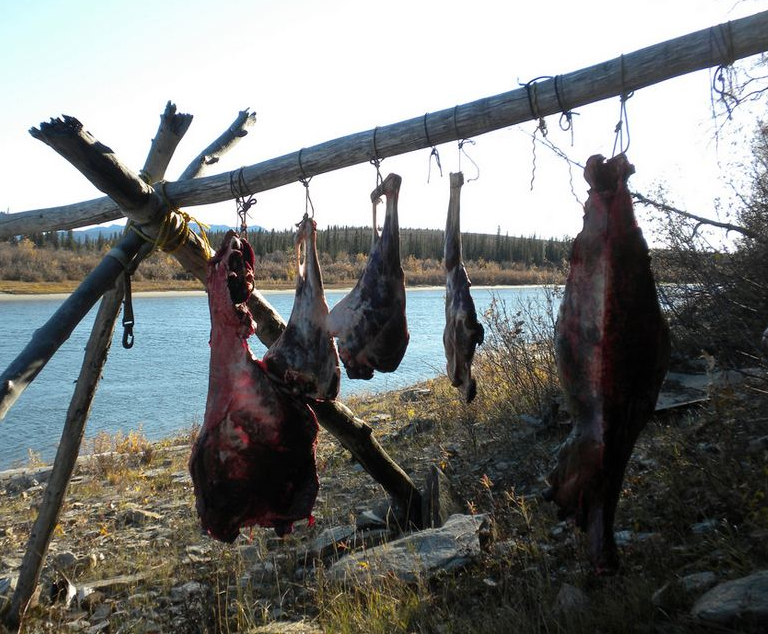 The total annual caribou harvest by North American hunters is estimated to be more than 160,000 caribou, with its replacement value as store-bought meat roughly equivalent to $30 million. While this monetary value illustrates the enormous contribution caribou make to the northern economy, it does not capture the social, psychological, and spiritual value of caribou to its users. [Source: International Arctic Science Committee, The Encyclopedia of Earth, 2012: "Climate change impacts on Indigenous caribou systems of North America," retrieved from http://www.eoearth.org/view/article/151244.] Image credit: Mike Brubaker, Alaska Native Tribal Health Consortium, Local Environmental Observer (LEO) Network.